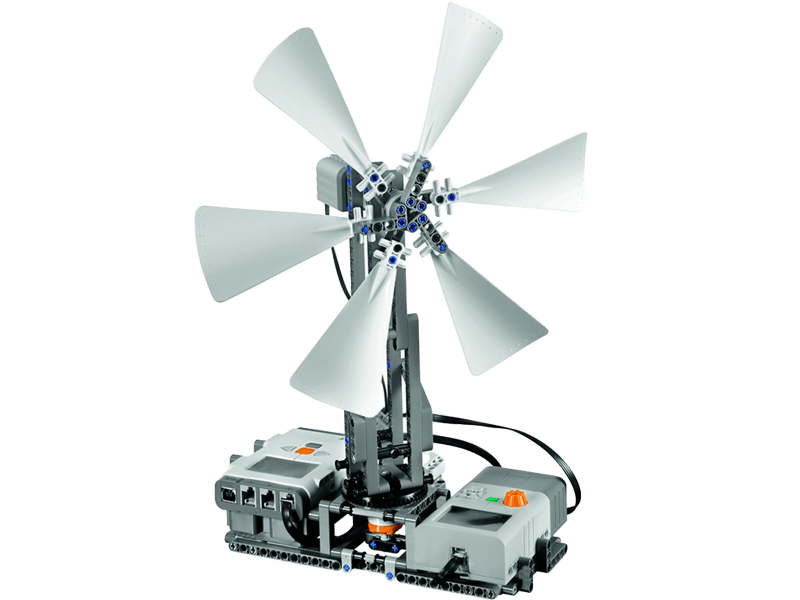 This exciting add-on set for 9686 allows students to learn all about renewable energy sources, and is both compatible with the Machines and Mechanisms portfolio and LEGO MINDSTORMS Education. The set features a solar panel, turbine blades, a motor/generator, LED lights, an extension wire and the unique LEGO Energy Meter. 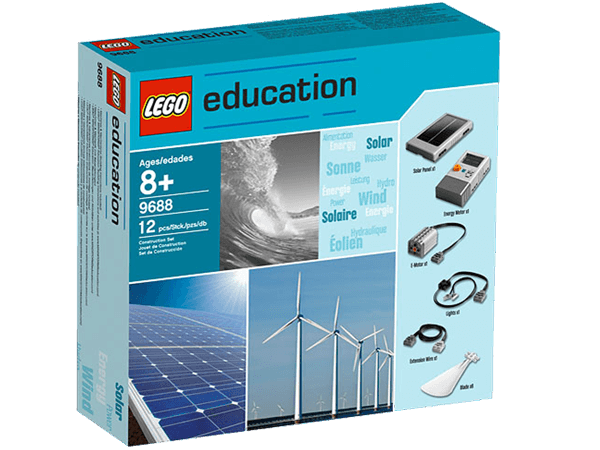 The set includes full-colour building instructions for six real-life LEGO models - designed for use with 9686 and work great as inspiration for MINDSTORMS. Combine with the 2009688 activity pack to carry out six lessons and four problem-solving activities. Connected with the MINDSTORMS NXT brick, the Energy Meter works as a sensor, making it ideal to use with the MINDSTORMS Data Logging software. Building instructions for Machines and Mechanisms and activities for MINDSTORMS can be downloaded free of charge from www.electricbricks.com. Meets Science & Technology curriculum goals. Gives students a highly relevant insight into different Renewable Energy sources, e.g. solar, wind, hydro and hand generated power. 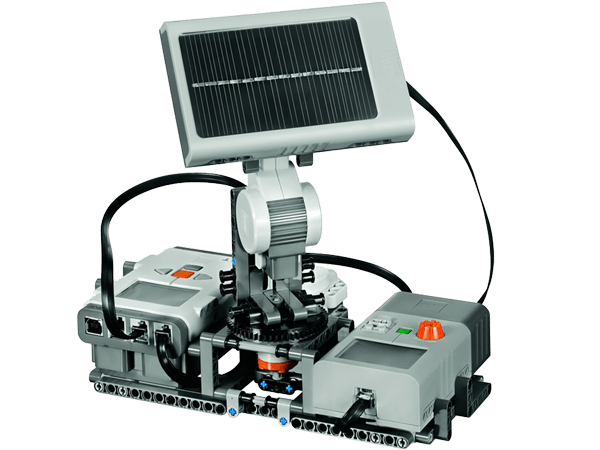 The product is compatible with both Simple and Powered Machines and MINDSTORMS. 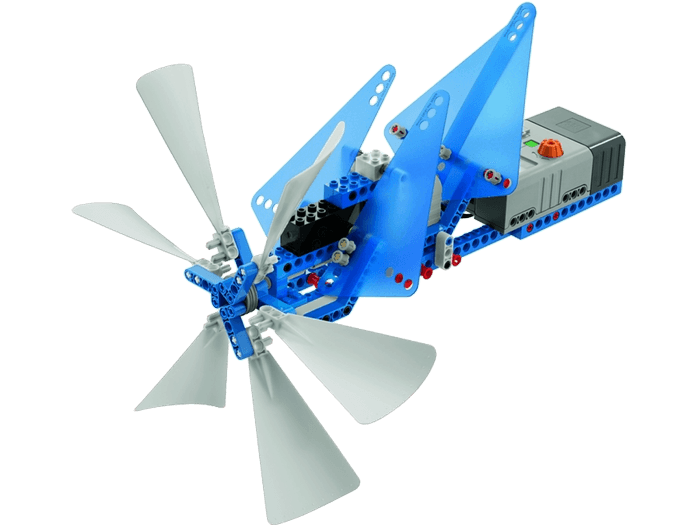 Including building instructions for 6 different models to build with the Simple and Powered machines set. 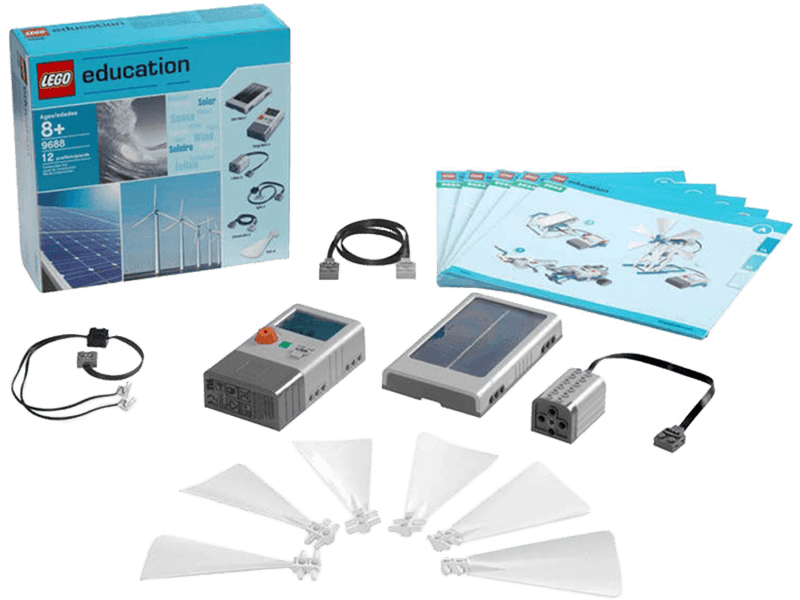 Includes Energy Meter that allows students to store and use the generated energy. The Energy Meter also gives you the opportunity to datalog in the MINDSTORMS datalogging software. Exploring energy supply, transfer, accumulation, conversion and consumption. Engaging students in engineering and design.